Happy Halloween! October is a great month for bonfires, playing in the leaves, and of course getting dressed up for a night of candy collecting. For most beekeepers, October is spent preparing the hives for winter. With the bees becoming less active, we can still be creative and pull inspiration from those fuzzy friends of ours. 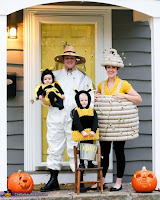 If you don’t want to dress up as the usual witch, Frankenstein monster, or vampire, how about a bee inspired costume! 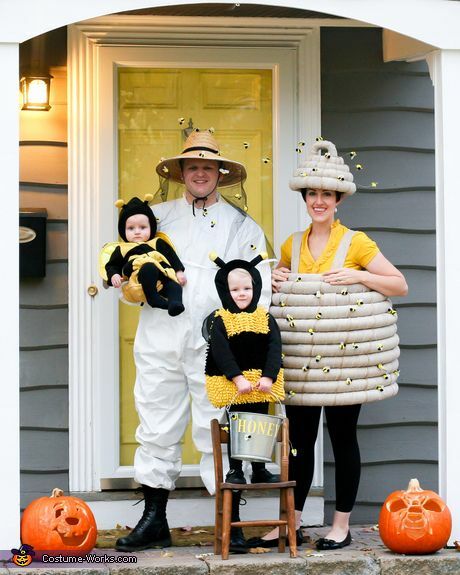 Throw on a black and yellow striped shirt, a set of antenna, and a stinger and you are ready to be a honey bee. Try putting a costume on your honey bottle for Halloween! Who says only people can dress up for Halloween? Grab a bottle of honey, some craft supplies and your imagination for a decorating contest. A little bit of construction paper, tissue, paper, glue and markers will go a long way to make your ordinary bottle or jar of honey into a dressed up masterpiece! 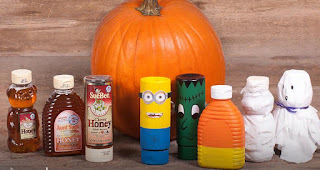 If you are having a Halloween party, a honey bottle decorating contest would be a great addition. If you love honey like I do, then you would be excited to get a honey stick or a piece of honey candy on Halloween. 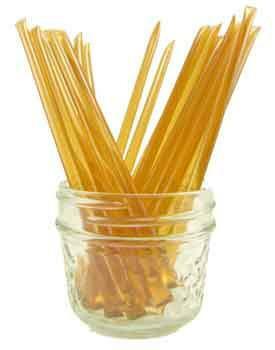 If you friends or family want to give something different out to "trick or treaters," suggest honey sticks or honey candy. Honey is a great treat for everyone, and I bet many of your classmates would enjoy some honey in their candy containers!